After spending New Years at Lake Hawea, Central Otago, we picked up some glorious fruit from a roadside stall in Roxburgh on our journey home. 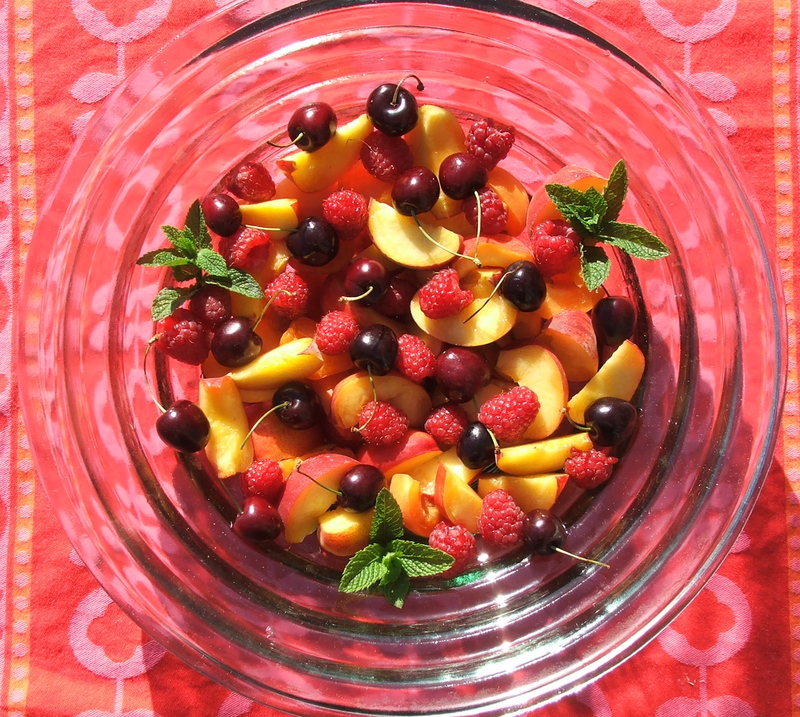 Central Otago is famous for its luscious cherries and stone fruit and this fruit salad is a celebration of summer in Otago. This fruit salad is bursting with potent antioxidants and the addition of Manuka honey will give your body the power to destroy destructive microorganisms, viruses and bacteria. This dish is perfect as a light breakfast or a healthy dessert. Cut the nectarines and peaches in a rustic fashion and put in a bowl. Place raspberries and cherries evenly over stone fruit. Garnish with fresh mint from the garden. Heat up Manuka honey in the microwave for 20 seconds or until honey is a runny consistency. Put yoghurt in a serving bowl and stir in vanilla paste/vanilla extract until well mixed. 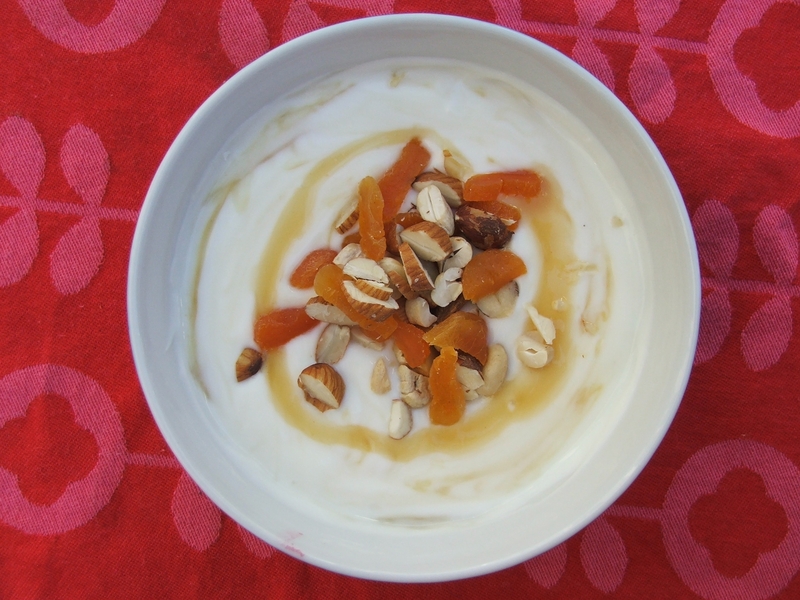 Swirl Manuka honey into yoghurt by stirring in gently with a spoon. Garnish with chopped almonds and dried apricots. Lay fruit salad and Manuka honey yoghurt on the table and let everyone help themselves. Serves 4.